Ben Chai and Daniel Wood get excited over property. Thank you all so much for all the great feedback we’ve already had from part one of this two part video. Due to the limited time of these short videos, we only had time to discuss Daniel’s phenomenal success climb. Part three is a non-video interview with Daniel which is out early next week and covers aspects of property and tenant maintenance. For now, do take out what you can from his inspirational story and do read and check our other articles on maintaining success. We have summarised some of the key points, from this in-the-moment live interview at the end of this article. In this short video blog, we continue our conversation with Daniel Wood and discuss the challenges Daniel and his wife, Gisela Wood have faced in their property journey. To recap from the first interview with Daniel, Daniel and Gisela are a very focussed couple, serious about being successful and achieving their life and family goals. This power duo is so focussed on getting to financial freedom that they worked phenomenally hard to obtain an asset base of nearly £1,000,000 in a year. Daniel Wood and I first met at the JT Foxx family event in Orlando, and somehow connected in spite of my walking around in a sleepy daze. We later bumped into one another at a Tigrent (Legacy Education) property education course on buying properties at an auction. 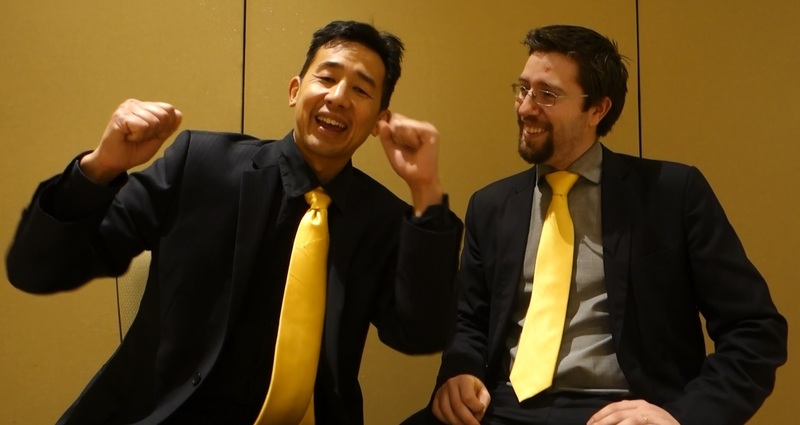 Ben Chai and Daniel Wood get excited over raising finance for property. Daniel and Gisela have 10 per cent mortgage rates compared to the 2-5 per cent mortgage rates local UK investors enjoy. In other words, the deals that they needed had to be exceptional deals. These exceptional deals had to include mitigation of all the inherent risks that apply with property acquisition. To circumvent the bank and credit challenge Daniel and is wife spoke to as many mortgage brokers as they could until they found a mortgage broker who could find them an acceptable loan. To ensure Daniel got a powerful power team. Daniel interviewed each one of the team as if they were applying for a job. Daniel interviewed the support team of his sourcing agent. Daniel and Gisela, met them, got each team member’ prior experience, and got references on the sourcing agent’s entire team. To deal with setbacks, Daniel urged people to be more resilient and persistent even in the middle of a disaster. Inspired by reading and hearing about Dan’s success story? Then please do let us know with a comment and share it with your friends to help them be motivated and inspired too. Part three of the Daniel Wood interview trilogy will be out next week.